Microcurrent Body Scupting (EMS) - or Electrical (or Electronic) Muscle Stimulator. A device where electricity is used to activate muscle groups externally through the skin. This is often done for purposes of passive exercise, muscle toning, beauty treatments, and physical therapy. The combination of the unique Ultrawave signal and the intensive deep rotation of frequencies will help penetrate skin moisturising products while also tightening, toning, lifting and slimming the treated area. The wide pulses and long stimulation times will access the muscles which cannot be ordinarily reached with active exercise. The instant recruitment of these large Body shaping muscles will give fast, superb body slimming and sculpting results. Electricity has been used to treat pain for over 100 years. Early proponents of electricity were labeled as charlatans, but recent scientific studies have proven that it can reduce both acute and chronic pain. Microcurrent Body Scupting is used to break muscle spasms and help reduce pain. It may directly block transmission of pain signals along nerves. In addition, electrical stimulation has been shown to promote the release of endorphins, which are natural painkillers produced by the body. Several different electrical stimulation approaches exist, each producing different effects. These devices are powered by batteries, some units have an adapter that allows powering from an outlet and they provide electrical stimulation to nerves and muscles via adhesive pads placed on the skin. Using revolutionary microtechnology, Microcurrent Body Scupting electronically simulates the body's impulses to reshape the Body and rejuvenate the Face. The soothing and pleasurable Ultrawave signal, delivered in a series of biologically coded frequencies, instantly accesses different body areas. Skin, fat, muscle, connective tissue, the circulatory and lymphatic systems are stimulated effectively to slim, tighten, tone, lift, firm, shape and rejuvenate. Each Microcurrent Body Scupting treatment will send out the appropriate sequence of signals to produce the correct treatment parameters. For example, when you exercise, natural impulses cause your muscles to contract and relax. Microcurrent Body Scupting as an exercising and fitness aid is nothing new. 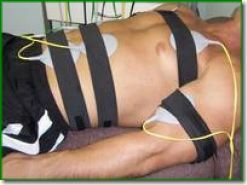 Microcurrent Body Scupting is widely used in rehabilitation to strengthen skeletal muscle and many professional athletes use electrical muscle stimulators to help supplement their fitness exercise routines or just as a means of maintenance on those particular days they're unable to workout either through muscle injury or lack of time. Microcurrent Body Scupting is ideal for physically challenged individuals, those living sedentary lifestyles, those in need of getting toned and trimmed fast, and those presently going through physiotherapy. Many functions of the body are controlled by neurological electrical impulses. These impulses are transmitted naturally by the brain to specific organs. The Microcurrent Body Scupting simply imitate each one of these specific impulses in order to produce a range of different results such as slimming, muscle tone, workout, cellulite reduction, non surgical facelift and many more. The high-tech toning treatment fires electrical impulses through pads that imitate the way your body reacts to working out. During a brief consultation, you’ll be asked which body parts you’d most like to shrink. After changing into a dressing gown (you leave your undies on), the therapist helps you onto a bed and then sticks up to 20 pads to your problem areas. The pads are wired up to a daunting-looking machine which is programmed to suit your needs, then you lie in bed for half an hour to enjoy the treatment. The Microcurrent Body Scupting simulates these natural impulses to make the muscles contract and relax in a pattern, similar to normal exercise, but with a lower risk of strain or fatigue. Therefore, Microcurrent Body Scupting exercise can be more targeted, more prolonged and more efficient than even traditional physical exercise.